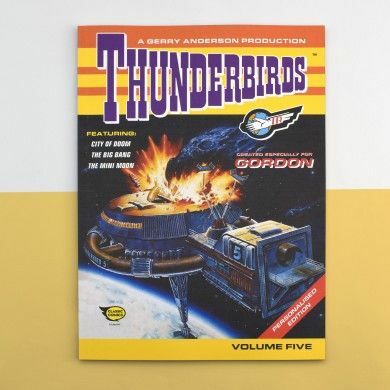 The fifth and final book in a series of five volumes which bring together the Thunderbirds comic strips from the 1960s and 70s, and are perfect for fans of the classic show. 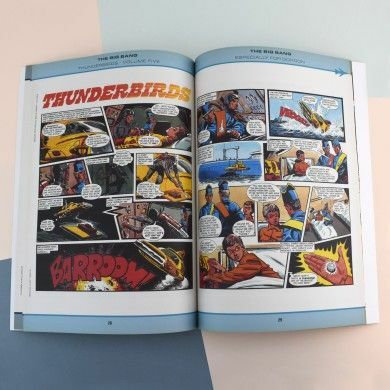 Featuring brilliant comic strip stories like City of Doom, The Big Bang and The Mini Moon, this personalised version is for true Thunderbirds fans. 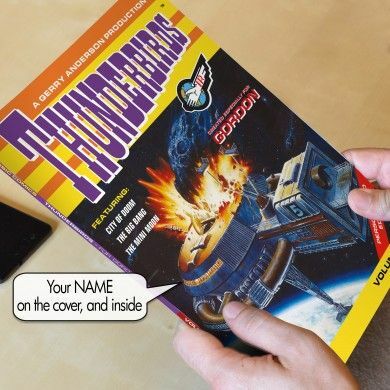 Each page features the recipient’s name at the top, and it’s also included on the cover. You can further personalise this book by adding a message to the recipient on the opening page. 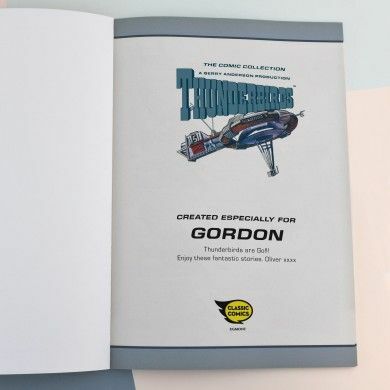 For an additional £5, your book can come presented in a beautiful Thunderbirds themed gift box.